Attack 1 : Puppet Master ??? 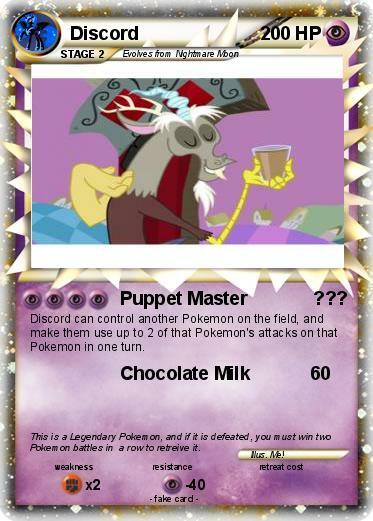 Discord can control another Pokemon on the field, and make them use up to 2 of that Pokemon's attacks on that Pokemon in one turn. Comments : This is a Legendary Pokemon, and if it is defeated, you must win two Pokemon battles in a row to retreive it.